Eliminating mother-to-child transmission of HIV and syphilis is key to the global effort to combat sexually transmitted infections and to end AIDS by the year 2030. In 2014, WHO and partners developed global criteria to validate the elimination of transmission of both infections through a rigorous review of country progress. Last year, Cuba became the first country to be validated for having successfully eliminated mother-to-child transmission of HIV and syphilis. Today, WHO recognizes Thailand, Armenia, Belarus, and the Republic of Moldova for their remarkable accomplishments. 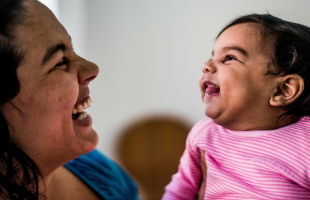 These countries have worked hard to ensure early access to prenatal care, HIV and syphilis testing for pregnant women and their partners, and treatment for women who test positive, as well as their babies. The provision of reproductive health information, the engagement of communities and outreach to marginalized populations, in a manner consistent with basic human rights and gender equality, has helped to facilitate such access. The achievements are testament to a key factor – the integration of maternal and child health with sexual, reproductive health and HIV services. Integration underpins WHO’s new health sector strategies on HIV, sexually transmitted infections, and viral hepatitis, and is fundamental to the attainment of universal health coverage and the realization of the Sustainable Development Goals.